In designing our systems for curving and melting glass, we gave priority to achieving maximum performance with reduced energy consumption, all combined with outstanding operational flexibility. The use of multilayer, superinsulating materials such as high-density ceramic fibres, allows energy consumption to be contained with consequent reduction of the installed power. 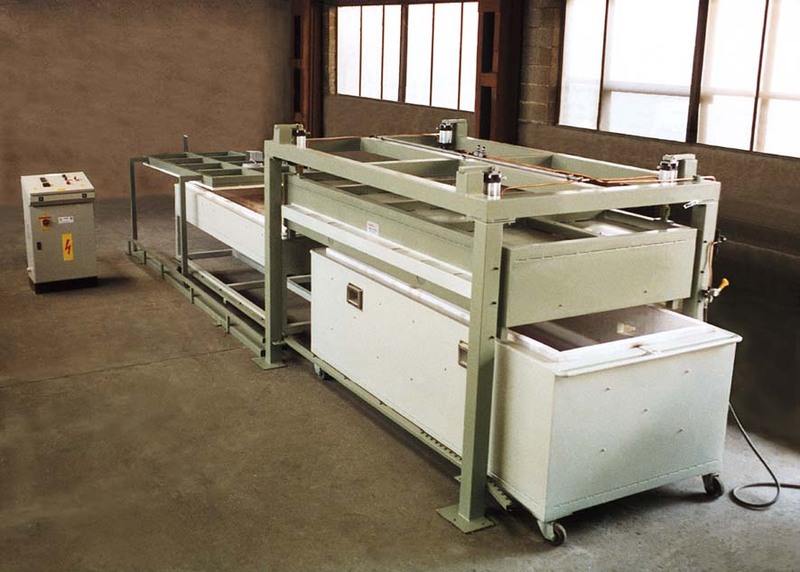 All our modular glass melting systems are designed to be expanded with additional production modules, cooling stations or with the addition of a second heating chamber. 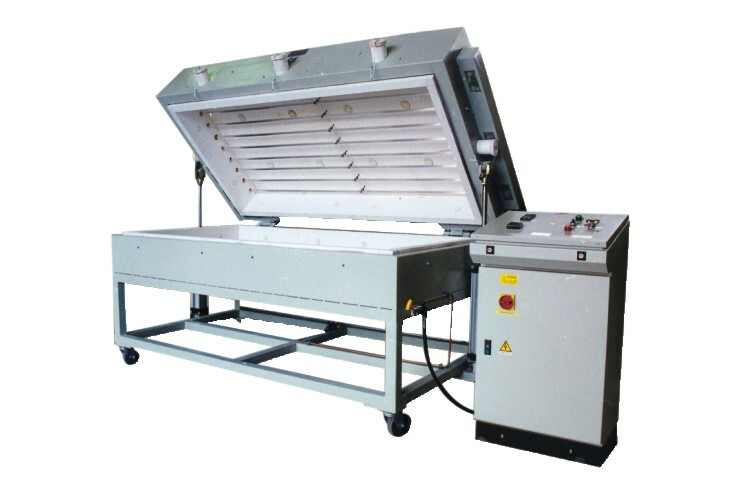 Heat is generated by a quartz infrared light system, this allows the best possible irradiation of the glass to be obtained, heating it evenly across the surface. You can obtain melting or curving processes of the highest quality, only if you have maximum temperature uniformity on the glass. The electronic temperature and power regulation system is the most sophisticated available on the market; in fact, according to the size, the heating chamber is divided into multiple zones independently controlled by a PLC with multiramp programs capable of storing various programs. The smooth, seamless movements are obtained by means of pneumatic cylinders, electric motors or hydraulic devices. The system is fully controlled by electric equipment located in a cabinet.